"When we identify our youth by what they do, and label them 'youth offenders,' instead of who they are, we limit them and ourselves to all the possibilities of what they can become. Even if those very young people have made choices to go down the wrong path, don’t they deserve someone to invest in their lives and in their future?" —Tony Haire, PhD. This story could have turned out a lot differently. It could have ended with Tony Haire in jail. But it didn’t. As a kid, Tony Haire lived in a neighborhood that people drove out of their way to avoid. There was a lot of crime and many ways to get into trouble—which Dr. Haire did. But he was fortunate. He had family and others who supported him and helped him avoid getting arrested and thrown into the juvenile-justice system. His wife, Mrs. Denise, C-Rep Director, had a different backstory. She lived off the Murchison Road also, but chose to take a smarter path that kept her safe and away from the law. When they grew up and married, the Haires worked for many years in the business world where they learned much. But something always nagged at them. They wanted to make a difference in their community. In 2006, Dr. Haire and Mrs. Denise were struck by the nightly news reports of troubled young people who were aggressive at home, in school and on the streets. These adolescents were abusing drugs and had little or no regard for the authority figures in their lives—parents, teachers, police officers. The Haires looked over the landscape of the mental-health treatment. What they saw was medications being handed out to cloak the problem and families being disregarded. It wasn’t very long before they realized that many kids and their families in Fayetteville, N.C., where the Haires lived, desperately needed help. The Haires decided it was time to leave corporate America behind and invest in the lives of youth caught in the juvenile-justice system. That all sounded well and good. Still, they weren’t sure how exactly to proceed. 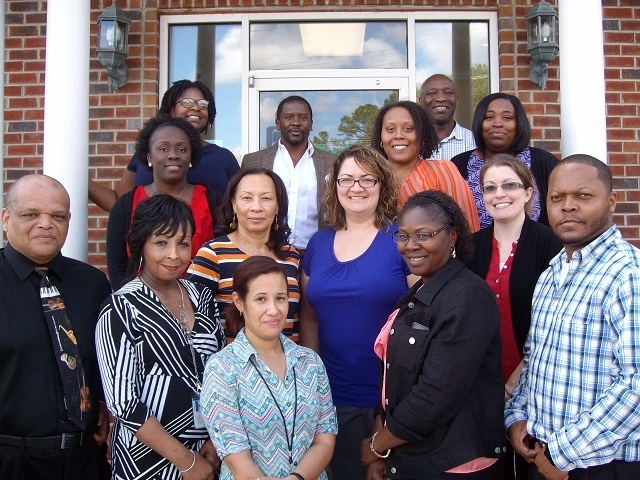 They did their research and entered the mental health community providing intensive in-home services. As a result of mental health reform they met with a program developer of MST Services who spelled out the ins-and-outs of Multisystemic Therapy (MST), including how it is evidence-based, meaning there are studies that validate its effectiveness. How it is a comprehensive approach to treating youth, helping families, supporting communities and engaging with stakeholders—exactly what the Haires were looking for. They worked with on MST program development so that they could invest in their staff and community with the ultimate goal of investing in young people and their families. So was born C-Rep (Community Re-Entry Program) Behavioral Health Agency. There was a lot of effort involved. At the end of the day, Dr. Haire had this advice for other agencies and communities considering implementing MST. Begin with strong leadership within the agency and community, people dedicated to doing the right thing and adding value to others. It takes a strong commitment to seek out what is right for young people and their families. There are no shortcuts. This should then lead to a strong commitment to the process of starting and maintaining an adherent MST program. There will be bumps and challenges along the way, but nothing that hard work cannot resolve. Be open to change. Your work in MST will positively impact your whole agency and community if you let it. You must be willing to lean-in. Be open to learning. There is always something new to learn about yourself, your agency, your community, the families you serve, your staff and about MST. Finally, to be successful, know your purpose, grow to your maximum potential, and sow seeds that benefit others. And very importantly, don’t forget about building relationships with all key stakeholders, who want to know their community is safe. Make sure your staff members know they are valued by investing in them and praising them for all their hard work. Build relationships with families, meet them right where they are, and finally build relationships in the community, and serve the community beyond the walls of the MST program. To learn more about what makes MST an effective intervention, download this white paper.